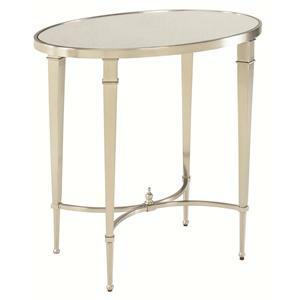 Brighten up your living room with this delightfully quaint, cocktail table. 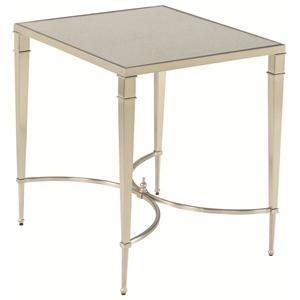 Crafted in a silver nickel and antique mirror finish, this modern table also brings a touch of vintage flair. 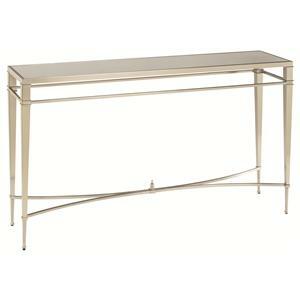 Tapered metal legs with an antique mirror shelf add visual interest and storage space. 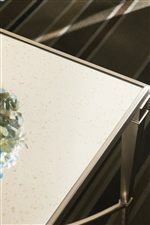 The spacious oval glass top surface is perfect for flowers, artwork, or decor for an enhanced, light-reflecting display with a distinct antique treatment. 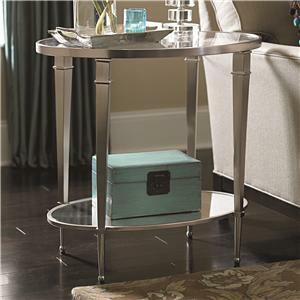 Pair with the matching bright silver end table for additional display space. 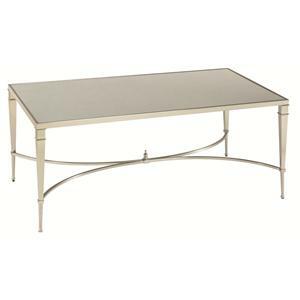 The Mallory Oval Satin Nickel Antique Mirror Finish Cocktail Table at Morris Home in the Dayton, Cincinnati, Columbus, Ohio, Northern Kentucky area. Product availability may vary. Contact us for the most current availability on this product. 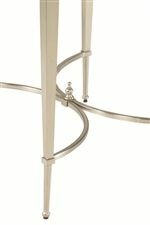 The Mallory collection is a great option if you are looking for Cottage furniture in the Dayton, Cincinnati, Columbus, Ohio, Northern Kentucky area.